It was the realisation that they had less than three years to find £75,000 that stirred Ninette and Paul Fitzgerald into action. They are just one example of why the interest-only mortgage time bomb is a very real problem. Combine that with a sky-high credit card bill and it makes for more than sleepless nights. The couple have lived in their London home for the past 22 years. Having bought it for £76,000, their home has been their biggest investment by far, increasing in value by £349,000. Ninette has been a nurse in the NHS for the past 50 years while Paul is a self-employed carpenter. They both plan to retire in the next couple of years. The Fitzgeralds like their house and they like the area of London they live in, especially as they have family just around the corner. Like thousands of others, the Fitzgeralds became concerned as their interest-only mortgage approached maturity. When they’d taken it out, 22 years earlier, Ninette and Paul thought they’d be able to pay it off. But time ran away with them. Not only this but the couple also found themselves with a £25,000 credit card debt hanging over their heads. “God knows how that happened,” Ninette said to us. “We tried to pay the minimum but they just don’t go down… The interest rate is so high on credit cards that you never seem to pay much off. It was a stressful time. Not only was I worrying about how we were going to pay off our £75,000 interest-only mortgage but also our credit card debt. “It was hanging over me,” she continued. “It sounds like a lot of money but it mounts up very quickly.” It wasn’t as if the Fitzgeralds were using their credit cards to buy luxuries either. Car repairs, replacement washing machines and other things they needed but didn’t have the capital for were on Ninette and Paul’s list of purchases. They felt their only option was to sell their home. But that’s never as easy as it seems. Deciding to stay put, the Fitzgeralds needed to find another solution. 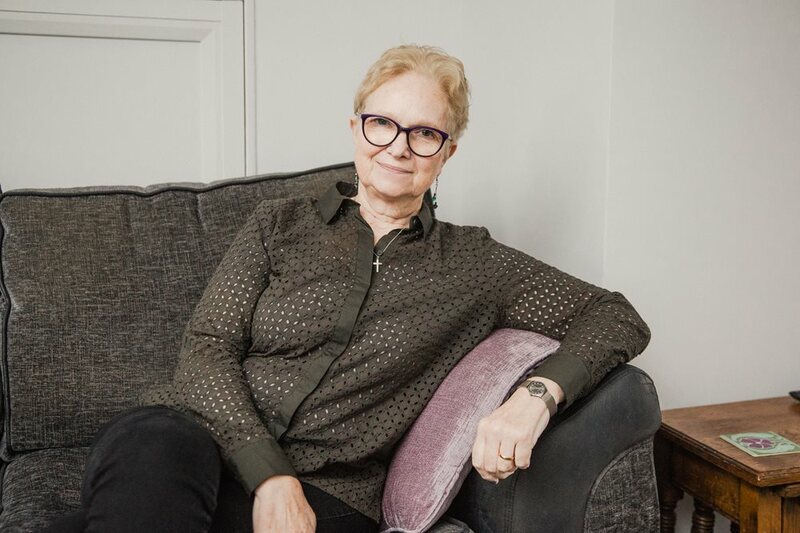 “This is why we looked into equity release,” Ninette explained. “It gave us the answer. It allowed us to stay in our home and pay off our existing mortgage along with our credit card debts. “We were visited by one of Key’s advisers who gave us all the information we needed. We told him what we wanted… He went away and did his research. Use our free calculator to find out how much you could have available. If you have a significant debt and are worried about how you’re going to repay it, speak to your creditors today and discuss creating a repayment plan. If you are considering equity release, please read 'is it right for you?' carefully. This explains many of the facts about equity release, including how the most popular type of equity release - a lifetime mortgage - is a loan secured against your home. You should always think carefully before securing a loan against your home. Equity release will reduce the value of your estate and may affect your entitlement to means-tested benefits.